I am looking forward to working with an immensely talented team to help scale EagleView’s technology platforms in innovative new ways that will benefit our customers. Eagle View Technologies, the leading provider of Pictometry® aerial imagery and advanced property data solutions for the government, insurance, construction and energy markets, has named Rich Spring its Chief Revenue Officer, the company announced today. Spring will lead EagleView’s global sales, business development, customer success and marketing. He is charged with delivering consistent revenue growth and ensuring customers derive significant value from EagleView solutions. Spring is the latest addition to EagleView’s leadership team, which has welcomed several industry executives over the last year, reflecting the company’s strong momentum and growth. EagleView provides patented image capture processes and 3-D modeling software, along with property-centric analytic tools and platforms that empower end-user workflows in support of property claims, risk management, construction, emergency response, tax assessment, and corridor mapping. Spring brings a long track record in leading large global teams and a background in enterprise technology, with successes across multiple companies and roles, including building high performing direct sales, partner sales, marketing, business development, customer success, and operations. 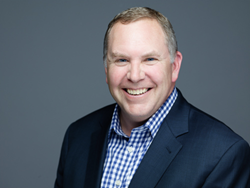 Most recently, he was the SVP Worldwide Field Operations at Seal Software, EVP & Chief Revenue Officer, North America at Sage, and SVP Americas at Symantec. EagleView is the leading provider of high-resolution aerial imagery, property data analytics and structural measurements for government agencies, insurance carriers, roofing contractors and energy utilities. Using patented image capture techniques, 3D aerial measurement software and machine learning processes, EagleView helps customers answer questions related to millions of properties throughout the world. With a four-petabyte library of oblique and orthogonal Pictometry® aerial imagery dating back to 2001 and the capacity to process tens of thousands of roof measurement reports per day, EagleView enables organizations to reduce field visits and adopt faster, safer and more cost-effective workflows. For more information, contact (866) 659-8439 or visit http://www.eagleview.com.